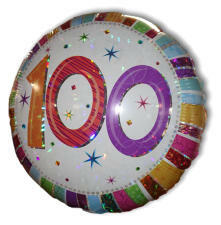 Margaret Royle celebrates 100 years. 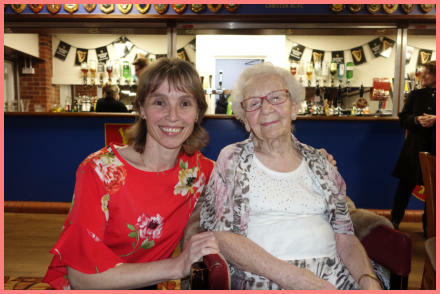 In the week when we celebrated the 100th birthday of the nation’s favourite singer, Vera Lynn, another very special lady also joined the 100 club and to mark the occasion, a party was held at the Chester Rugby Club, the venue of the much missed Chester GFS branch which closed in September 2016. For just one night the branch was resurrected for invited guests to celebrate the 100th birthday of Margaret Royle. Margaret and her late husband Cliff were founder members of the North Wales branch and were very active members both of the branch and of the GFS in the 1990’s. 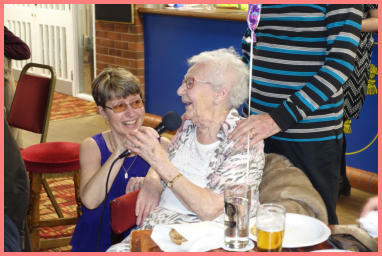 The evening was a return to the best that Chester GFS always offered and Margaret was delighted to listen to all her favourite songs performed by her favourite players. The event was organized by Margaret’s close friend, Cathy Darlington and the sound was managed by Kevin Staniland. From start to finish the night was full of entertainment with many well known personalities of the Society being present who provided some great performances. One of Margaret’s favourite songs is “Pasadena” and Lewis Clifton was in attendance to supply his usual top class rendition. It was nice to meet up again with so many Formby friends and to enjoy this unique occasion. I just wish that I could have spent more time with Margaret in quieter surroundings so that I could have chatted with her about her life and times. 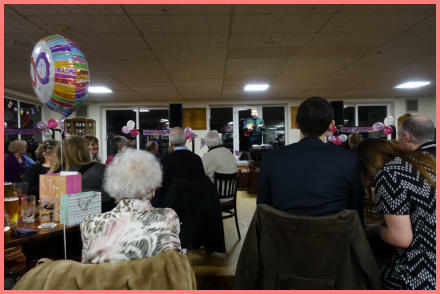 It was very evident that Cathy Darlington’s efforts were much appreciated by all and Mrs Royle made a very nice speech at the end of the evening to thank Cathy and everyone for coming to see her. Our journey home was complicated by numerous motorway junctions being closed for repairs but we finally made it around 1:30 in the morning. In spite of all the obstacles, I wouldn’t have missed the party for anything and the pleasure and enjoyment that Mrs Royle got from the evening was shared throughout the room.